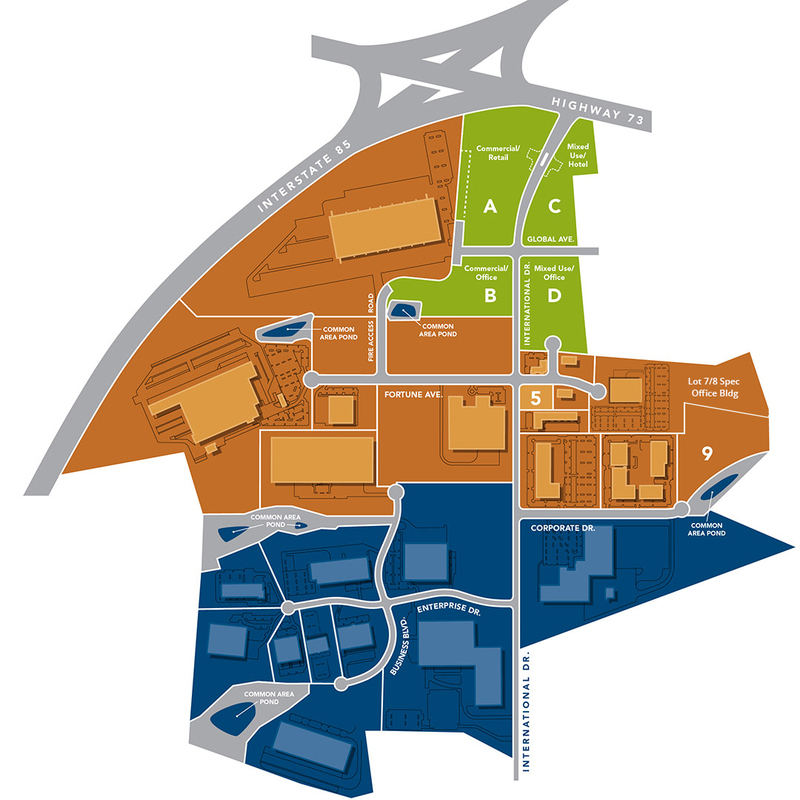 Explore the International Business Park at Concord through our interactive master site plan. Available sites are numbered. Click available sites to learn more and view possible site plan configurations. Current companies will display upon hover. Click sites to learn more about existing developments and companies within the IBP. Designed for mixed use hotel/retail development. Read more about Phase III. Designed for flex space, multi-story buildings, corporate headquarters, warehouse/distribution and medical/professional services. Designed for industrial/manufacturing and warehouse/distribution.